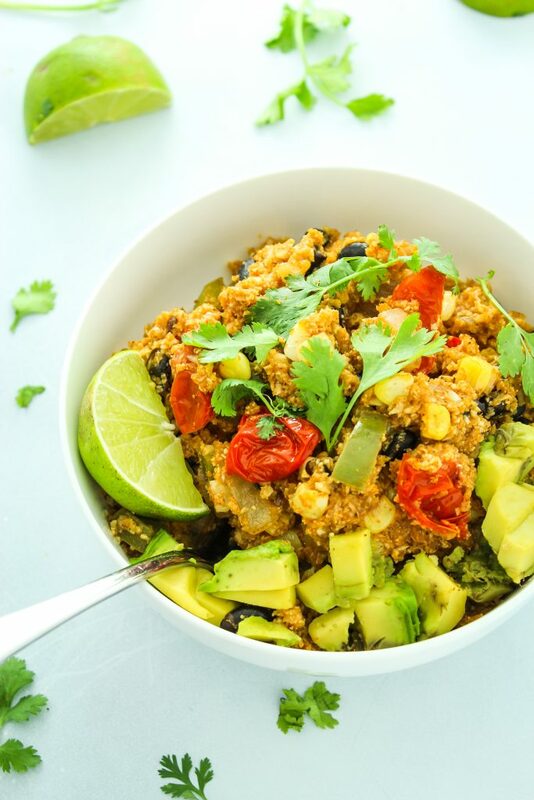 This easy, Mexican-inspired cauliflower rice recipe combines bell pepper, corn, black beans, and tomatoes for a delicious southwest flair. Vegan and gluten-free! Well, we did it. Here we are in 2017!!! Everyone is setting goals and making resolutions. Vowing to eat healthier. Stress less. Exercise more. etc. etc. etc. While we’re talking about resolutions, what are yours? I wanna hear them! I’ll go first.  I’m keeping it simple because I figure that the shorter the list, the more I can focus on each resolution. Eat more greens and raw veggies. Learn to better manage stress. As of right now, I tend to rely on my good friend wine to unwind at the end of the day. I’d like to do more coloring, journaling, and reading instead. Speaking of journaling, I want to fill a journal. Stop procrastinating. If it can be done right now, today – get it done. I improved in this area a bit in 2016, but I have a ways to go. Less procrastination = less stress. Saving enough to take a trip somewhere new for our 5-year anniversary. We’re leaning towards Cuba! 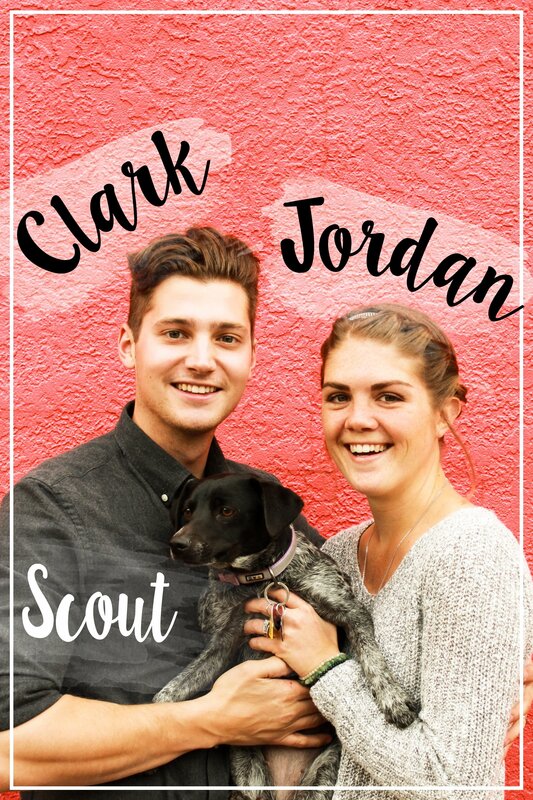 Trying recipes from other bloggers and cookbooks, just for fun! And the blog comes with a different set of goals. Create monthly editorial calendars ahead of time and stick to the plan. Delve more into video – producing 2-4 per month. Connect better with readers – find ways to inspire commenting so I can have a conversation with you all! One of the most popular resolutions is arguably the “eat healthier” one. The main challenge to eating healthier seems to be, unanimously, a lack of time. If that’s the case for you, I figured I might be able to help. Firstly, by sharing today’s recipe, which takes less than 30 minutes to make and makes for great leftovers. You can easily portion it out and pack it for lunch this week. And second, I’ve created a 30 Minutes or Less board on Pinterest where you can find all of those recipes in one place. I’m also working backwards and tagging past blog recipes into the category for easy access. I’m hoping this helps you stick to and achieve your 2017 resolutions/goals. If you have any other suggestions or recipe requests, leave me a comment! 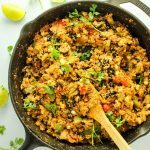 In all of its flavorful and secretly low carb glory, here is this Mexican-inspired cauliflower rice recipe. 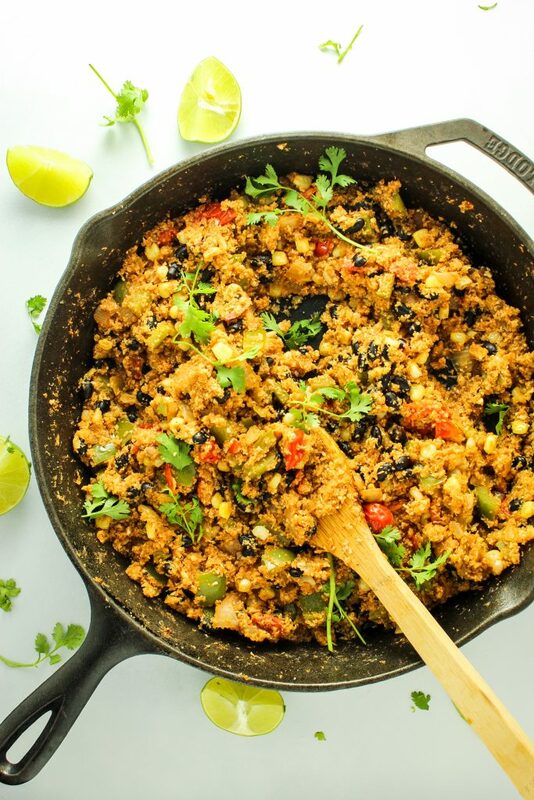 This easy cauliflower rice recipe is Mexican-inspired. 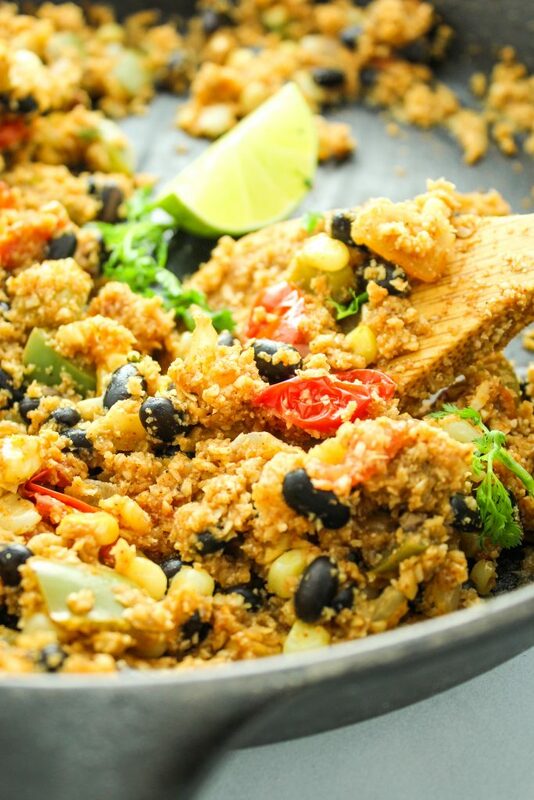 It combines bell pepper, corn, black beans, and tomatoes for a delicious southwest flair. Vegan and gluten-free! In a large skillet, heat olive oil to medium. Add onions and sauté 3 minutes until soft and translucent. Add green pepper and corn. Sauté 5-7 minutes until the green pepper has softened. Add tomatoes and beans. Continue cooking for 10 minutes. Add cauliflower rice, taco seasoning, and broth. Stir to combine well. 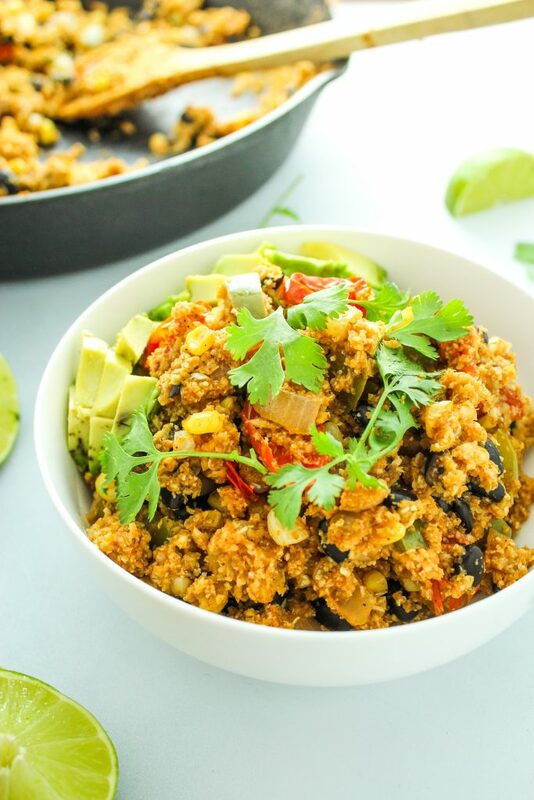 Cook 5-7 minutes until cauliflower rice is tender. Serve and garnish with fresh lime, avocado, or cilantro! This recipe is in the heavy rotation at our house. We love it. Those are wonderful goals! I can identify with a few of them — especially the whole stress management thing. I’m the worst. I don’t know how this happened, but I totally forgot cauliflower rice even existed. I gotta remedy that, this looks awesome.